When it comes to the perfect island getaway, there are a few things we look for—crystal clear water, mouth-watering eats and epic things to do. It’s also a plus if we can find a location that makes it possible to avoid any jet lag and maximise that precious annual leave. With all that in mind, it will come as no surprise that Samoa, only a four-hour non-stop flight from Auckland with Air New Zealand, is at the top of our list. Made up of two main islands, Upolu and Savai'i, and eight small islets, whether it’s lying by the pool, being immersed in the Samoan way of life, feasting on local delicacies, or exploring one of the country’s eye-opening natural beauties, we guarantee you're on to a winner from the moment you land. Not that you needed any more convincing, but here are seven reasons Samoa needs to shoot right to the top of your travel hit list. If you’re looking for that magical place where the whitest of white sand meets the bluest of blue waters, we’ve just found it. Lalomanu Beach is sitting pretty on the south east tip of Upolu and is one of the most beautiful beaches in the country. You know the drill here team, roll out your towel and settle in for the long haul. Also, make sure you pack your snorkel—this safe swimming spot is teeming with tropical fish, and the water here is bathwater warm, so like we said you're here for the long haul. Hot tip: it’s only a 20-minute drive between Lalomanu Beach and To Sua Ocean Trench so you can definitely tick both off in one day. There are also fales or huts at both beaches for hire, so bring along some Samoan tālā to reserve your spot. 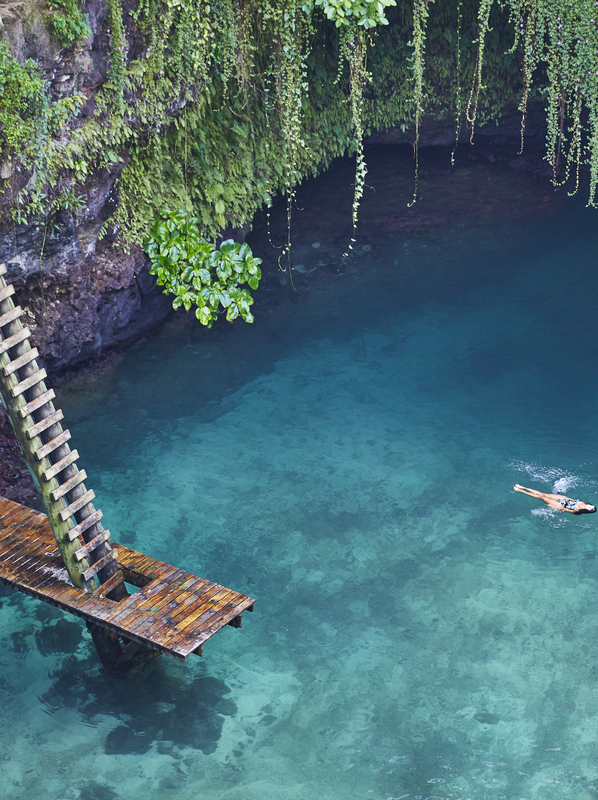 Located on Samoa’s main island of Upolu, the To Sua ocean trench literally translates to ‘giant hole’, which is appropriate because this place has not one, but two of them. Joined by an underground lava tube cave, you will want to head straight for the 30-metre deep, crystal clear waterhole surrounded by lush gardens, accessible only by a single ladder and small pontoon. We know you’re already thinking it, all that's left to do is dip your toes in and float the day away. Sounds dreamy, right? That’s because it is. Hot tip: there is an entrance fee to visit To Sua Ocean Trench for $SAT20 per person, so bring cash. #3 Waves Are Fun, But Have You Seen The Alofaaga Blowholes? The Alfoaaga Blowholes, located in the village of Taga on the south west of Savai’i (there are two ferries from Upolu, getting you there in either one hour or one and a half hours), are mother nature at her best. You will witness giant streams of water flying hundreds of metres into the air and it’s exactly as epic as you’re picturing. Located nearby is the Pa Sopo’ia Cave. Of ancient significance, it is believed that the spirits of Samoan ancestors passed through here on their way to the spirit world. Just ask the local Matais to show you the way. 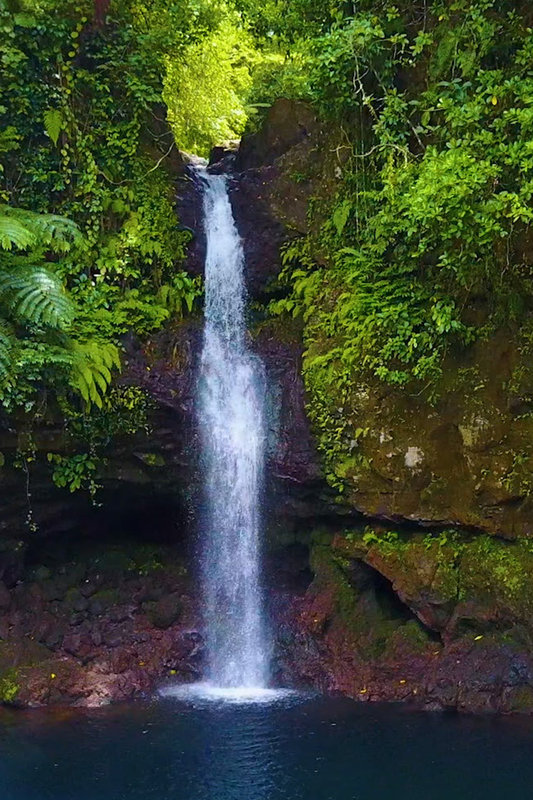 Once you’ve had your fill of salt water, head straight to the rainforest and splash around in the stunningly calm Afu Aau waterfall. 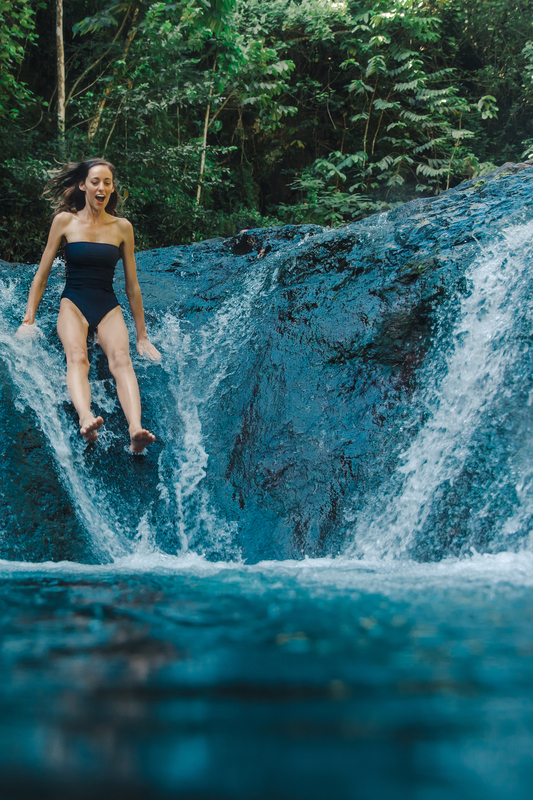 These falls are fresh water plunging straight from the rainforest into a calm three-metre deep pool below, which means it’s ideal for jumping, splashing and generally floating around while you cool down. This spot is definitely easier to reach as part of a tour, but we have faith you will manage if you take on the drive solo. After all, you can always ask a local for directions. Hot tip: there is an entrance fee to visit The Afu Aau Falls of $SAT5 per person, so bring cash. Not only is this where rainforests meet the pristine waters of the Pacific Ocean, but this island paradise is also the perfect place to experience Samoan culture for yourself. 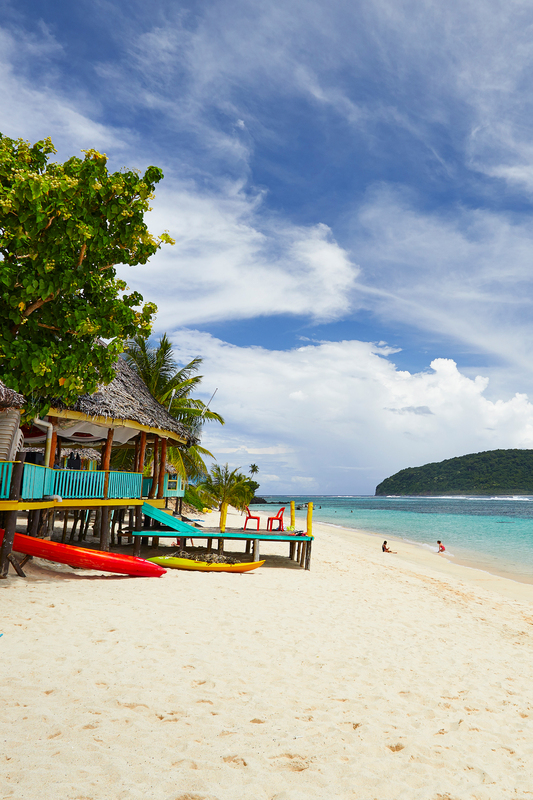 Referred to as Fa’a Samoa, or the Samoan way, locals here are guided by a culture founded over 3000 years ago. There are a number of ways you can add an extra dose of Samoan culture to your trip. Book yourself a seat at one of the island’s many Fiafia nights, complete with a traditional buffet dinner (make sure you come hungry). 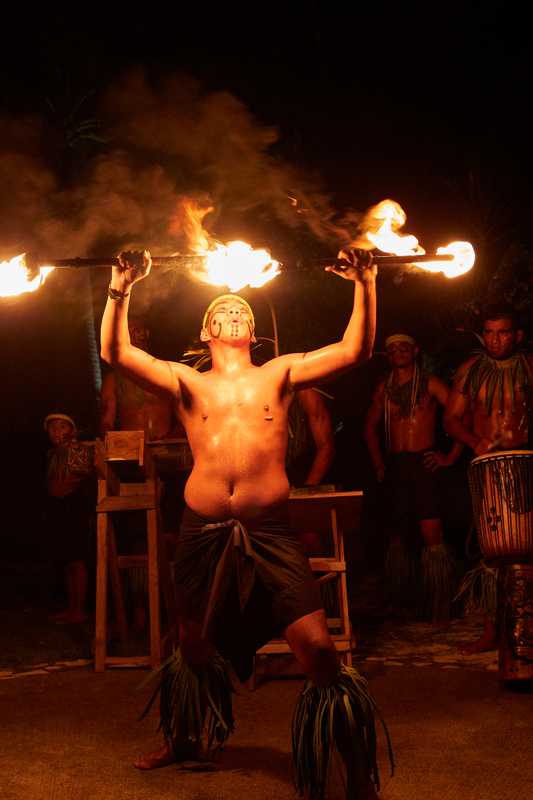 You’re in for an evening of dancing, from the Siva dance performed by local women, and you’ll want to have your phones at the ready for the fire knife dance. The cultural centre is another go-to if you want to not only understand but experience the traditional Samoan way of life. Set up as a cultural village, complete with traditional fale, you can do everything from weaving to making fresh coconut milk. One of the best places to really experience Fa’a Samoa is on the Island of Manono. Just 20 minutes from Manono Village on Upolu Island, it’s your chance to experience a more traditional way of life. Free from cars, and filled with local blooms, book a stay in an open air hut or fale on the beach, and make sure you have one of the local villagers take you on a walking tour, all it takes is a two-hour stroll and you can brag to all your mates that you walked around an entire island. Everyone knows the secret to experiencing a new culture in the most authentic and delicious way is through the food. 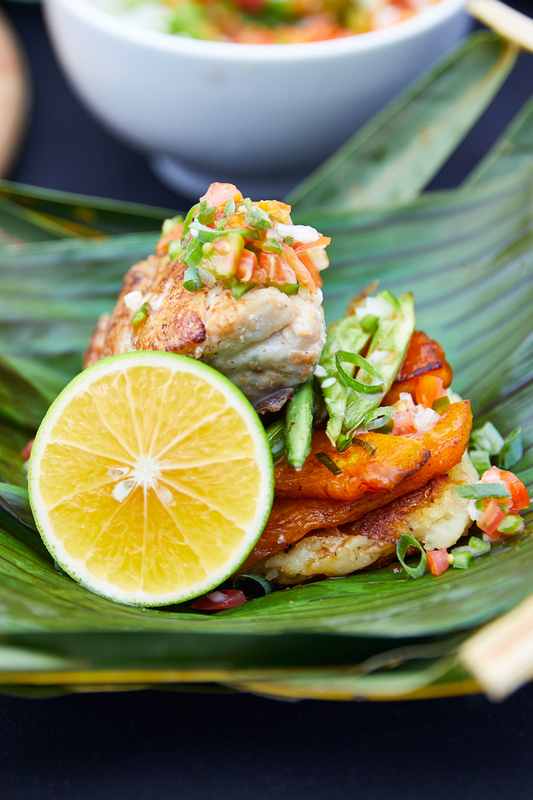 When it comes to Samoan food, we think it’s fair to say this cuisine is a crowd pleaser. Not overly spicy, and with an amazing array of choice, from sweet coconut bread (fa’apapa), to sweet dessert dumplings (kopai), and young taro leaves baked in coconut cream (palusami), you’ll also want to follow your nose to a traditional umu. This above ground stone oven is used to cook everything from fish coated in coconut cream and wrapped in banana leaves, to tender meats and even octopus in coconut shells. If you’re lucky enough to find yourself in Upolu on a Sunday your nose will definitely know its umu day. When it comes to eating out in Samoa, Nourish Café is a great spot for grabbing everything from a smoothie to go, to sushi and some hearty fish and chips. Meanwhile Home Café is coined as the most eclectic café Samoa has ever seen and does a quality cup of coffee, delicious brunch and evening salsa dancing. As much as we are all about the local eats, if there is a local beer we will definitely give it a try. Should you find yourself out and about in Samoa give local brews by Taula beverages a try. Booking a tour is often the best way to maximise your time on holiday, and Chef John tours are one option during your time in Samoa. With four options to choose from, you could be hitting up the local fresh food markets, swimming in cave pools, or even with turtles. And with Chef John proving the combination of chef and tour guide is ideal, you will be doing it all while chowing down on authentic Samoan eats. Now it’s time to head into the Samoan tropical forest and have a go down the naturally formed waterslide that is the Papaseea sliding rocks. Located a short 15-minute drive from Apia, this spot has a five-metre slide for adults and three smaller slides for children—or cautious adults—plus plenty of room for swimming at the base of the slides. Just make sure you bring a small amount of cash for entry, which is roughly $5 per person. Worth it. If by now, you’re well and truly sold (of course you are), then head straight over to Air New Zealand's website and book your trip to Samoa immediately. Just think: you could be there this time tomorrow, because the flight from Auckland is only four hours. That means you can forget all about jetlag my friends (just don’t forget your passport). Editor’s note: Air New Zealand flies non-stop from Auckland to Samoa every day, with connections from all Air New Zealand serviced domestic airports. This article is sponsored by Air New Zealand and proudly endorsed by The Urban List. To find out more about who we work with (and why! ), read our editorial policy here.